"First Hybrid SACD Edition of The Complete Beethoven Piano Sonatas"
Beethoven’s piano sonatas which span almost his entire life radiate human struggle and heavenly certitude. 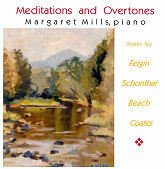 While Bach summarized all that has come before, Beethoven pointed to the future. 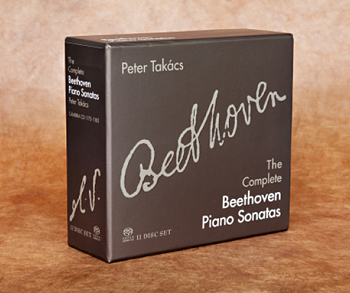 Embarking on a life-long project, pianist Peter Takács, for the very first time presents in one package — Beethoven’s complete sonatas — the standard “32” plus all the early piano sonatas without opus numbers and also the one and only sonata for piano four-hands. 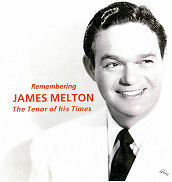 This unique release is presented in a lavish 11-Disc, Hybrid SACD boxed set, which includes a 144-page fully illustrated hardcover book providing an essay on The Mind of Beethoven and extensive and detailed notes on interpretation of each of the works. Additionally, Beethoven’s life, times and world, are outlined in a handy, concise, separate 22 x 22 inch, double-sided fold-out chart. 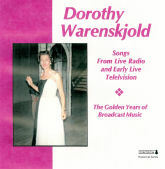 Recorded in 5.1 Surround audio on an Bösendorfer Imperial Concert Grand, this set is truly one of a kind. A special Limited, Numbered Edition of 250 units will be signed by Peter Takács and available through the Cambria website. “Follow P-D-I” tells the story of a young B-25 bomber pilot’s military life while attached to the Mediterranean Theater during World War II. As a squadron lead and group lead pilot of the 57th Bomb Wing, 321st Group, 445th Squadron, twenty-two year old Dan Bowling flew sixty-seven combat missions over Northern Italy between August 1944 and May 1945. 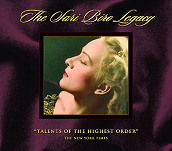 In celebration of the centenary year of her birth, Cambria is honored to release The Sari Biro Legacy ­— a four disc, box set chronicling her remarkable recording career between the years 1944 and 1972. Sari Biro (pronounced sha-ri) was the only women pianist to ever perform nine major piano concerti in three consecutive concerts — a feat she accomplished several times in her career including Carnegie Hall (1949). 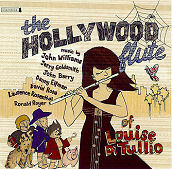 "The Hollywood Flute of Louise DiTullio"